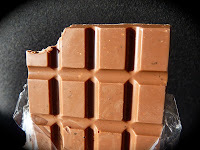 Today was Day #6 of Chocolate and Bacon Theme Week. 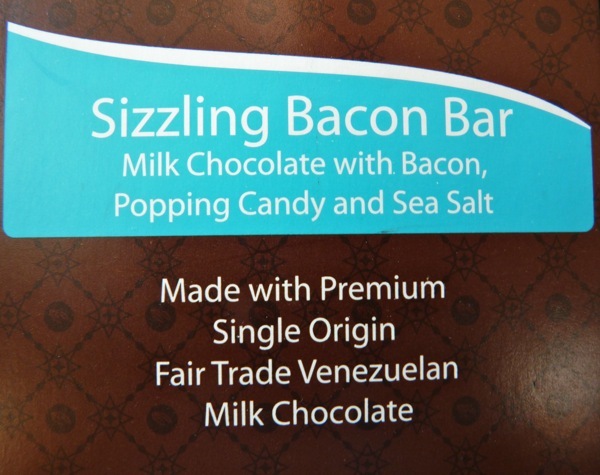 This Sizzling Bacon Bar -- made with milk chocolate, bacon, popping candy and sea salt -- from Christopher Michael (from Newport Beach, CA) was great. 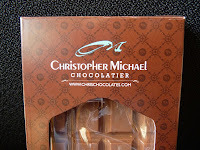 Nicely balanced bacon, milk chocolate and salt flavors. 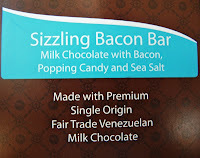 There was no sign of the popping candy -- that was to supply the "sizzling" part, but I didn't miss it that much.